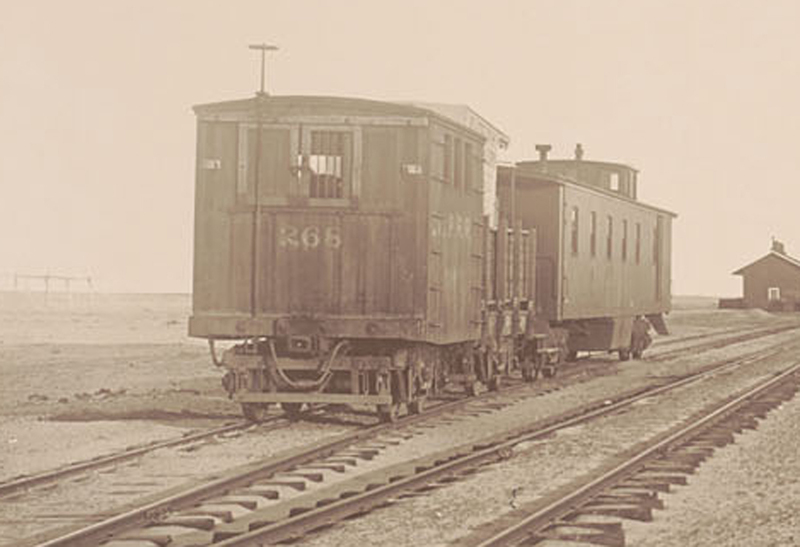 Watkins's photo car with wagon attached to a long caboose as was found in several photos of the Watkins "train." Carleton Watkins made a trip over the Stockton & Copperopolis the other day. Who is Carleton Watkins you might ask? He was the Ansel Adams of the nineteenth century taking photographs all over the west from Oregon to the Comstock to Arizona and Southern California. 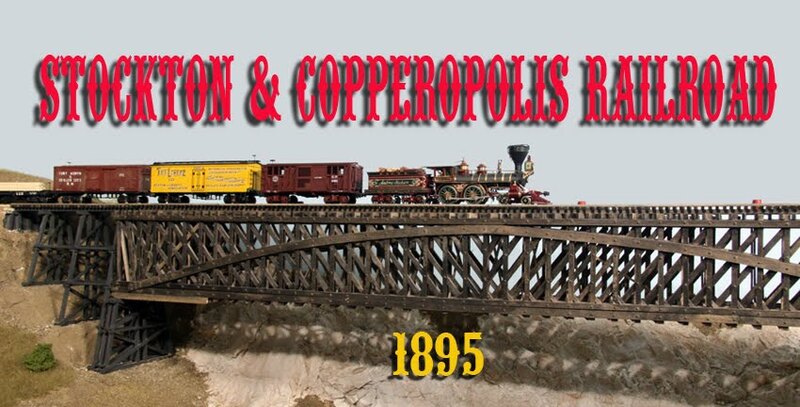 How does this concern we modelers of ancient railroads? He had a special car, such as it was, to carry his photographic wagon about and it shows up in numerous photos of his. It's almost always in the background but it's unmistakable and always accompanied by an old coach or long caboose. I've always enjoyed viewing his photos so I finally decided to build his car and photo wagon. The Watkins prototype car with wagon and long caboose which was used for living quarters. Photo taken at Dos Palmas, California in the 1880s. The car was a standard 29-foot flatcar built by the California Pacific RR with a room added at one end. I built the car out of strip styrene with scribed styrene walls for the room portion. The windows in the room area only have bars on them so this may have been where Watkins stabled his horse when traveling on a train or it might have just been a storage area. 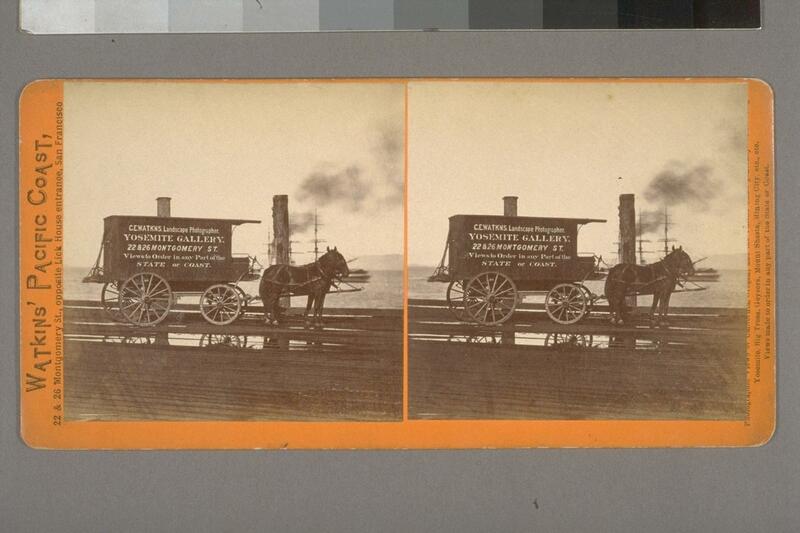 The Watkins photographic wagon on the pier at San Francisco. The photo wagon was just a Jordan Products standard wagon kit with decals based on the photo of the prototype wagon. I don't know if Watkins ever traveled on the prototype S&C but he could very well have done so en route to Yosemite when he took photos there. I'd like to think that he did.